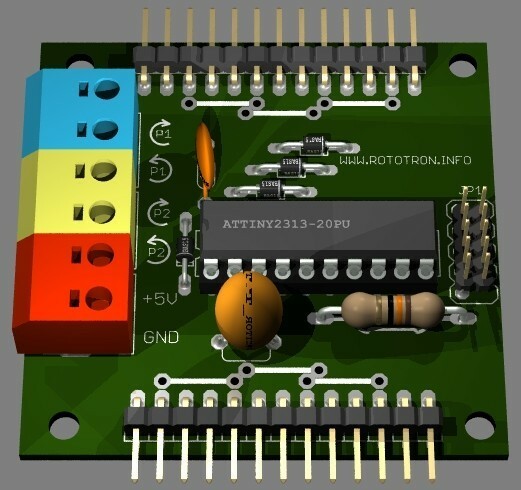 Below is the 3D model of my version 2 prototype created in POV-Ray using Eagle3D. 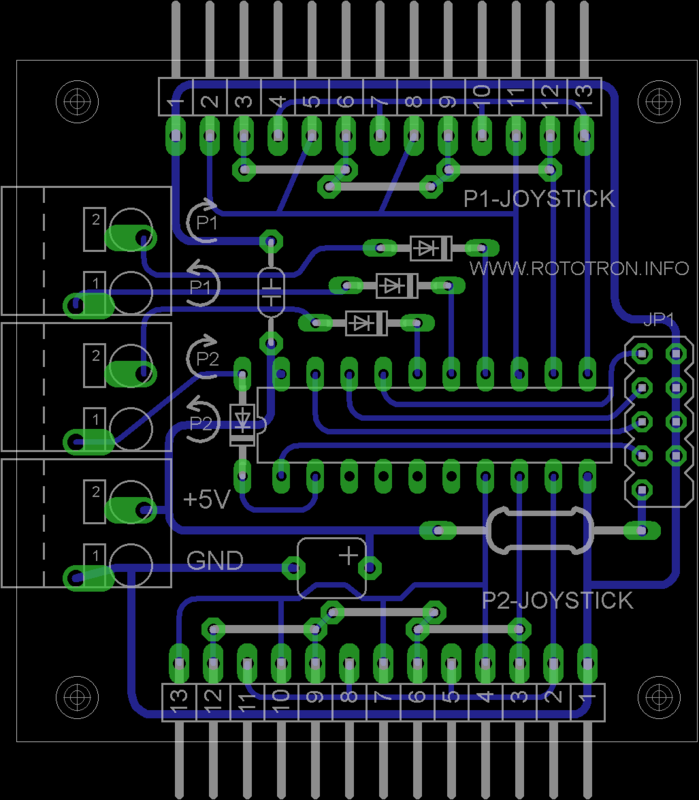 I decided to manufacture a limited batch because of numerous requests from BYOAC users. I designed the schematics and circuit board using the free version of CadSoft Eagle. The program is not at all intuitive, but the lite version is free and more than adequate for my needs. 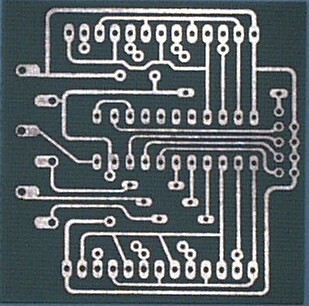 I found this great website by Thomas P. Gootee that demonstrates how to etch circuit boards with inexpensive household chemicals and a laser printer. 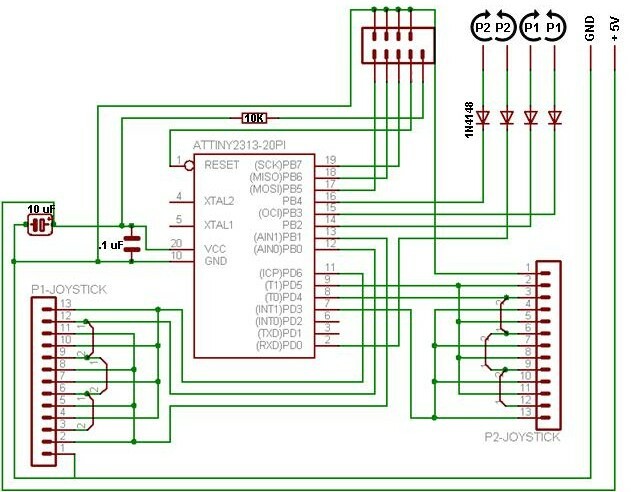 Here is the back of the interface. I’m getting better at the etching. The last time I checked MAME had issues with rotary games. 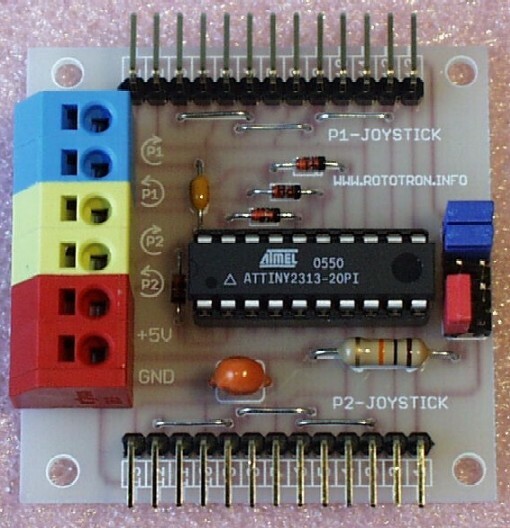 For improved game play I strongly recommend using MAME Analog+ version 83.2; otherwise you will probably experience missed clicks. I have had trouble with later versions so I still use version 8.32. 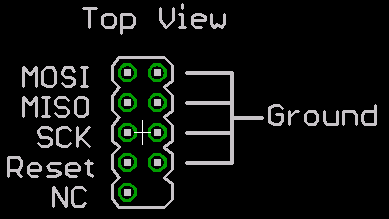 When configuring the inputs, you ignore the dial settings and you use buttons 4 and 5 for P1 and P2 rotation. 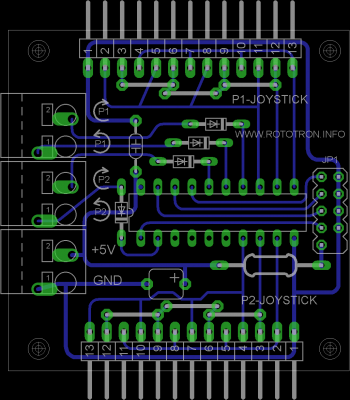 The latest version of my software now addresses rotary switch debouncing issues that are more common among LS-30 joysticks that have seen heavy arcade time. 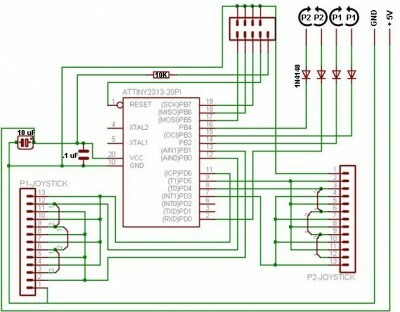 The code works very well to compensate for joysticks that are past their prime. Still you have to be careful when buying used LS-30’s because many of the ones you find on eBay are worthless. 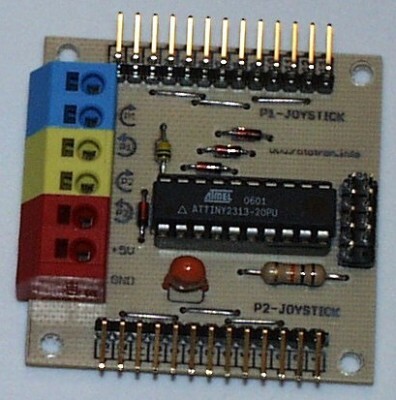 Here is the pin out for the ISP programming header on the board. 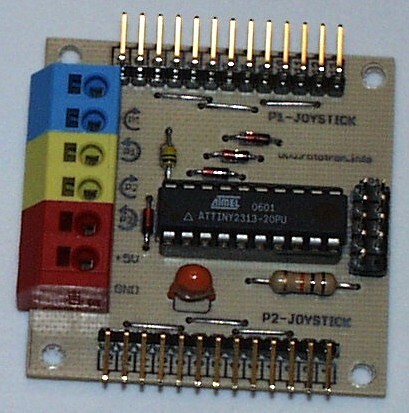 The red reset jumper must be removed for programming and replaced afterwards. The pin marked NC should not be connected to anything during prorgamming. The board must be connected to 5V power during programming. 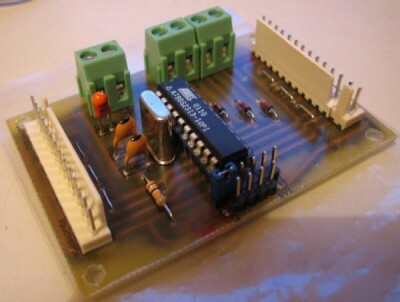 The microcontroller can also be removed from the socket and programmed on a breadboard.